Norwegian forward Ada Hegerberg won the inaugural women's Ballon d'Or on Monday. 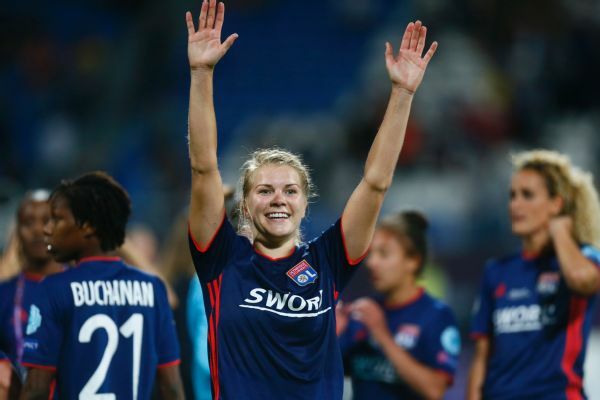 Ada Hegerberg won the Champions League with Lyon. The 23-year-old Hegerberg said she won't play for Norway at the Women's World Cup in France next June. After collecting her Ballon d'Or, Hegerberg told The Associated Press she has no plans to reconsider her decision taken to preserve her "authenticity and my values, as a person, as a footballer."